>> Travel Books for Kids. This is part 1 of a series of whats in my bag when I travel with the kids. Planes, trains, boats or restaurants I am always looking for things to keep the kids entertained while traveling. 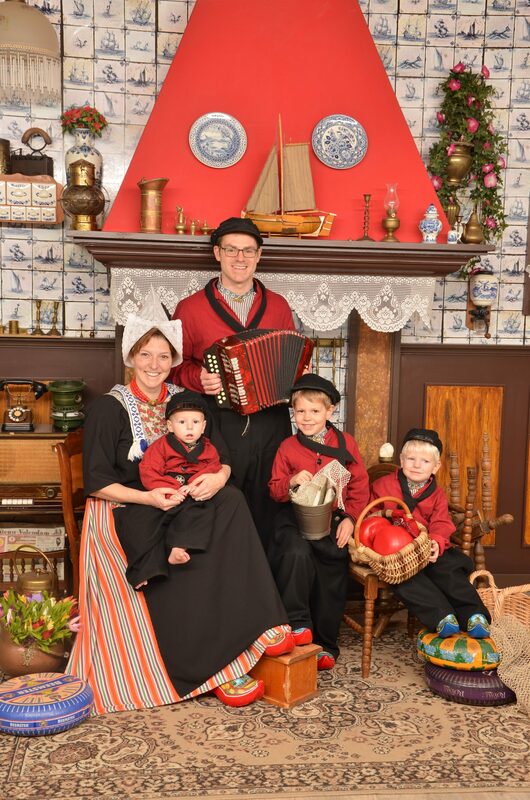 Entertaining toddlers on trips can be so hard! I know books are heavy, but they are one of my favorite things to bring the toddlers when we are on the go. I love books that are engaging for the kids and still entertaining and fun. I’m currently obsessed with Usborn books. I see them all the time when we are traveling in bookstores – including a few in the Queen Mary 2 bookstore! I wanted to run through a few that seem to always be with us these days. For My One Year Old. That’s Not My Plane and That’s Not My Train. The “That’s Not My…” series is one of our favorite. These books are available in every possible kiddo (or mommy) obsession. We like the plane and train ones for travel. Each page has something new to touch, simple wording and a hidden mouse. In addition to being great for your tiny, this is one of the first books my three-year-old started repeating, an early literacy phase. For My Three Year Old. 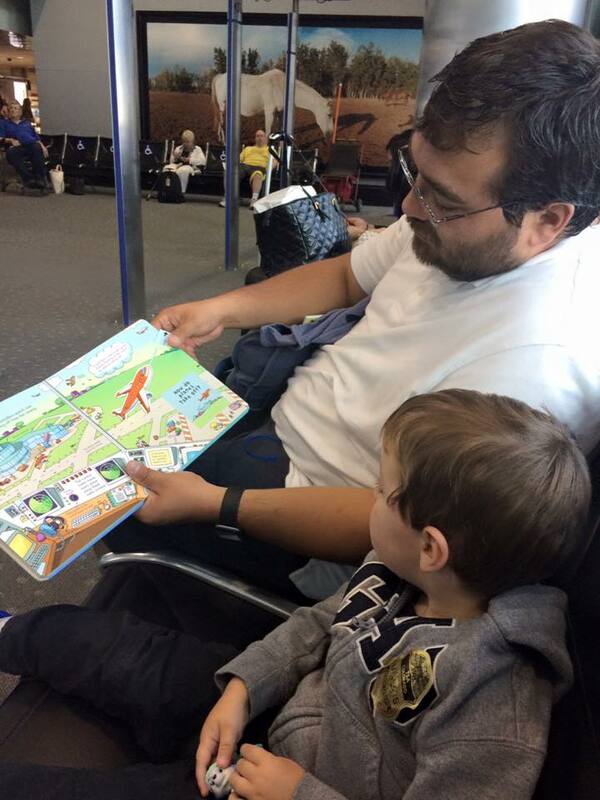 My friend’s adorable son reading the lift the flap Airport book with his dad on a recent trip. Look inside an Airport and Look inside Trains. The look inside books (also available in other themes) are full of information and pull up flaps. Each page features 3-10 flaps that lift in all directions.) My three-year-old loves having these books read to him, but is also happy to sit and look at them on his own. The Lift the flap Airport book is frequently requested for car rides too. Lots of Things to Spot In Town and 1001 Things to Spot Animals. These books have a variety of levels at which they can be used. On his own my three year old can look at the number and picture in the margin and start to look for things. There are also more advanced challenges on each page that I have to read to him. The books have stickers that are used in the book as well. I find these pack the most bang for their buck! And… you guessed it they come in a variety of themes. 101 Things To Do ON A Trip Wipe Clean Cards are perfect for any part of your trip. 101 Things To Do On A Trip Wipe Clean Cards. This deck of cards comes with a small dry erase marker. Each card features two activities from a maze or word search to prompted doodling. I punched a hole in these cards and connected them with a binder ring. I carry them in my purse with the included dry erase marker and some Crayola Dry Erase Crayons. This way they stay together but I can dole them out to any kid that needs them. Even my one-year-old loves drawing on them. They can be used as a guided or unguided activity. Two other things you should know about Usborn books that will instantly make them a family favorite. 1) They are so well made. They are not your ordinary lift the flap or touch and feel books. My two boys are tough on books but have done minimal damage to our Usborn books. 2) If you kids do rip them they have a 50% replacement program. Through my partnership with Usborn books I’m able to create a Usborn Wish List for you. If that is something you are interested in you can contact me with your children’s ages and interests and I will be happy to help. Usborn is a sponsor of my blog. The statements above are my observations based on my absolute love of these books. I was not provided any language to use. If you purchase from my links though I do receive some compensation.